Jen Perrot is the floral designer behind Flourish Root in Sperryville, Virginia, a unique floral design & styling studio specializing in floral, foliage & living creations in Rappahannock County, Washington DC and beyond. 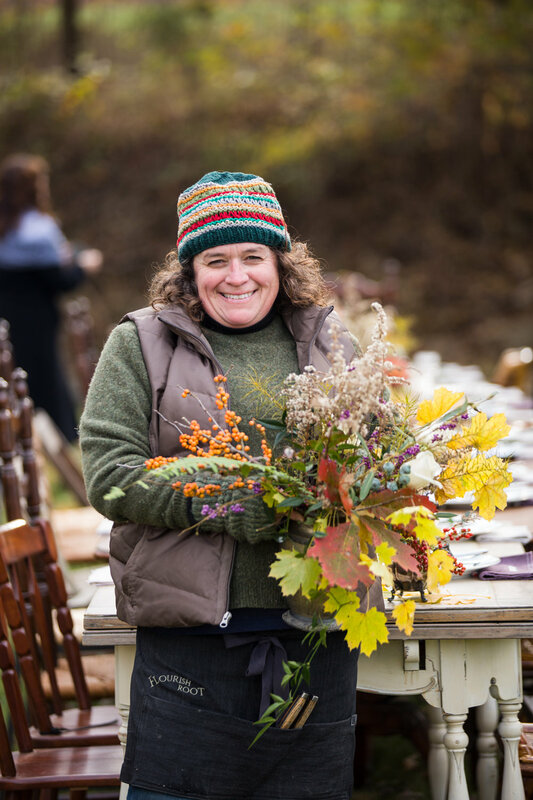 Jen gathers inspiration from the countryside around her to create nature-inspired designs using flowers and foliage from local gardens, farms and friends. Her shop is part of a community of makers that have made Sperryville their home. If you haven’t already, put Sperryville on your list of places to check out!